Facebook announced the imminent shutdown on Thursday, saying key Paper features like Instant Articles are already integrated into Facebook for iOS, reports The Verge. Paper is no longer available from the App Store and existing users have received notification that supporting services are to be discontinued on July 29. 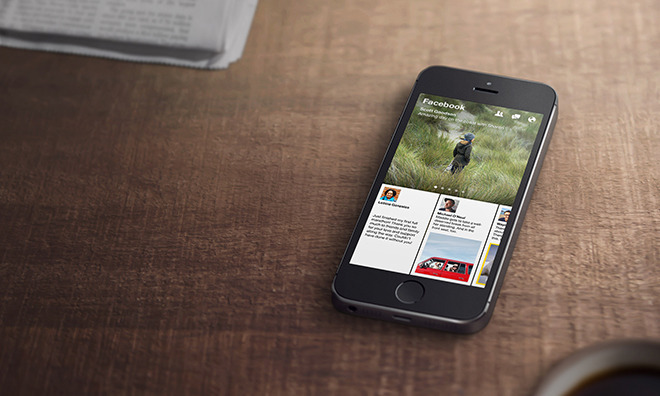 "Our goal with Paper was to explore new immersive, interactive design elements for reading and interacting with content on Facebook, and we learned how important these elements are in giving people an engaging experience," the company said. When it debuted in early 2014, Paper garnered critical acclaim for its streamlined interface and fresh take on feed customization. Like a traditional newsreader, the app allowed users to arrange updates by category, but eschewed common user interface elements like virtual buttons in favor of interactive animations. For example, photos, status updates and articles were displayed in full screen, while browsing was accomplished via a swipe-able card system. Dreamed up by Mike Matas of Push Pop Press, a digital book developer purchased by Facebook in 2011, Paper enjoyed a small but devout following, though development stopped as the company moved on to other projects. The iOS app version has not been updated for over a year. The group in charge of Paper, Facebook's Creative Labs, ceased operations in December and Matas departed months later.